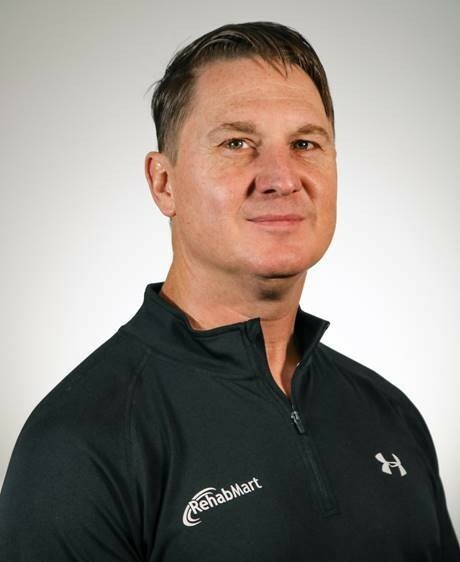 As a practicing Occupational Therapist, Hulet Smith, OTR/L and CEO of Rehabmart.com, an e-commerce website specializing in medical equipment, is always looking for innovative new products. And due to the increasing population of elderly and disabled individuals, finding an innovative solution within the realm of geriatric seating that delivers improved function and comfort for the patient is exceptionally important. The Seating Matters Tilt-In-Space Milano™ Chair definitely fits this bill! The Milano™ is an entry-level tilt-in-space positional chair recliner that includes all of the common features of an institutional tilt-in-space chair, but with a consumer-friendly price point. The affordability of the Milano™ places it within reach of the average caregiver looking for a value-oriented seating solution for their loved one. I estimate that around 80% of all patients can be accommodated by the Milano™ and its user-friendly, tool-less adjustment features which will make customized patient setup of the chair a breeze. The Milano™ can be easily adjusted within 60 seconds to accommodate patients of all sizes, including adjustment points for seat width, seat depth, and leg height and featuring a weight capacity of 364 pounds. The Milano™ is a great choice for home environments, assisted living facilities, and local DME store rentals alike, as the chair can be sanitized, adjusted, and re-assigned quickly to each new patient after the current user is no longer in need of the chair. user is no longer in need of the chair." Flip-up footplate for easy transfers. Height-adjustable, removable footplate comes standard. Seat depth is adjustable to 16”, 18”, or a 20” seat-depth (no tools required). Seat width is easily adjusted as the full-length arm side-rests adjust in and out. Features a removable seat cushion for versatility and easy cleaning. An alternating air seat cushion is also compatible with the Milano™ chair. Seatbelt fastener rings come standard with the chair to allow the addition of a seatbelt if the patient requires. The Milano will transition into 30 degrees tilt-in-space as a standard function, however by adjusting a few bolts, the caregiver can achieve additional tilt-in-space range of motion positioning with the chair - which may be beneficial for certain patients’ positioning needs. Infection Control Approved: The chair’s fabric has been specifically designed to decrease entrapment areas where bacteria and germs can survive. The fluid imperious seat surface coverings can be easily sanitized with common healthcare sanitizing solutions. Age-Related Posture Disorders like Kyphosis, Scoliosis and forward-head posturing. Lateral Leaning or Persistent Side Leaners. Stroke Patients suffering from Hemiparesis or other forms of Paralysis. Geriatric aging maladies such as stiffness, rigidity and walking/mobility disorders. Low Price Point: It is the most accessible Seating Matters chair in terms of cost. Lightweight: At 114 pounds, the Milano is the most lightweight of all the Seating Matters chairs but is made with the same materials and the same objectives as their highly customized chairs, offering the best in postural support and pressure management/redistribution. Basic Options Included: All the essential patient care features are included like tilt-in-space functionality, adjustable seat width, adjustable seat depth, backrest recline, and leg rest elevation. Quick Size Adjustment: The Milano will accommodate a range of patient heights, weights and sizes. Designed specifically for Caregivers: This chair was intentionally developed at the request of a Caregiver. The Milano was the combination brainchild of the Seating Matters clinical and engineering teams, using information generated by an actual caregiver. Kudos to the Seating Matters team for listening and responding to the needs of Caregivers and Patients for delivering a ready to go solution for families in need! Makes Transfers Easier: The Milano features forward tilt capability. The chair can pivot forward to about 5 degrees of tilt, which assists both the patient and caregiver to initiate a stand-pivot transfer. This feature assists the patient in coming to a standing position and exiting the chair during a stand-pivot transfer to another surface, such as a bed, allowing the standing transfer to occur with less effort, greater patient safety, and improved ergonomic outcomes for the coordinating caregiver. 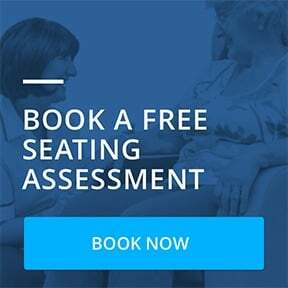 Use your own Seat Cushion if Desired: If your patient has a preference for his/her own wheelchair seat cushion, then no problem here. Just remove the Milano’s stock seat cushion and replace it with the personalized cushion that your patient has grown to love sitting on. Pressure Relief: The Milano is a great solution for pressure ulcer treatment and prevention when used with the appropriate care package. This makes it a great way to accommodate patients at risk for pressure sores while still allowing them to comfortably sit upright. ‹ Previous Post - What is the Price of a Chair?